Did you know that public speaking can be enjoyable and doesn’t have to be daunting? 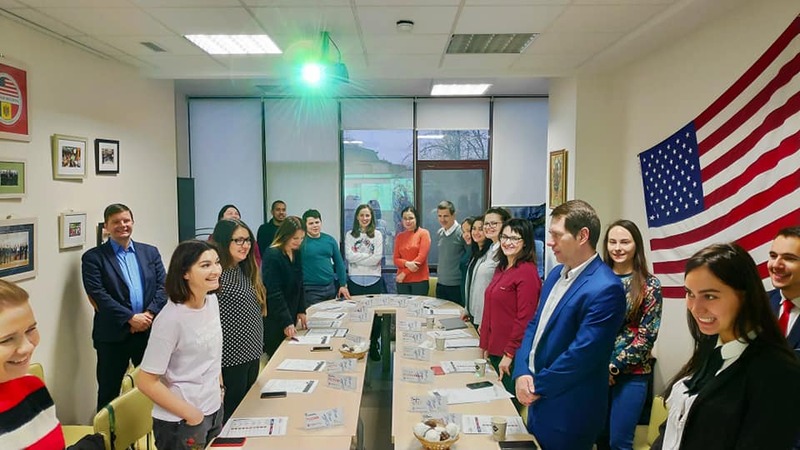 To find out how this can be so, the AmCham Young Professionals gathered for a workshop on public speaking on December 19, held in collaboration with Nadejda Mocanu and Chisinau Toastmasters. The Young professionals learnt key skills on how to warm up before giving a speech or presentation and some key “power-poses” to enable confidence, before having to give their own impromptu speech. -	Never apologize – it’s your speech! -	If you have space where you’re standing, use it!